An offshore wind farm in Rhode Island went online Monday, but building it costed $150,000 for every household powered. Three miles off the coast of Block Island, R.I., the wind farm is currently generating enough electricity to power 2,000 homes, but building the five turbines costed $300 million. That’s roughly $150,000 per household just to build the turbines, not to operate them. To put this in some perspective, the U.S.’s newest nuclear reactor, Watts Bar Unit 2, cost $4.7 billion to build but powered 4.5 million homes. That’s only about $1,044 per household, according to The Daily Caller News Foundation’s calculations. This means powering a home with the Block Island wind farm is almost 144 times more expensive than powering a home with the newest U.S. nuclear reactor. The extremely high cost of offshore wind doesn’t worry environmentalists and progressives however, because, as Salon.com says about the project, “it’s the precedent that counts.” The wind farm is eventually supposed to generate enough energy to power 17,000 homes. Deepwater Wind’s five turbines began generating power in December. Offshore wind power is expensive because installing and maintaining any kind of infrastructure underwater is extremely difficult. The salt water of the ocean is incredibly corrosive and makes operating such facilities difficult and expensive. A larger offshore wind farm in New York will cost anywhere from $25,000 to $15,625 for every home it powers, according to calculations previously made by The DCNF. Despite the extremely high cost, federal officials want to power 23 million homes with offshore wind by the year 2050. Offshore wind is so pricey that early investors, like Germany, plan to stop building new turbines to lower the costs of electricity. Electricity is so comparatively cheap in most parts of the U.S. that offshore wind isn’t generally necessary. The average American’s electric bill has gone up 10 percent since former President Barak Obama took office in January 2009, due to government officials imposing regulations and taxpayer support for green energy projects. People don’t know how much it costs. It’s hardly even a power plant at all, just a bunch of pretty spinning blades that produce a bit of power. And it’s not new technology – the price is not decreasing. Thus, there is exactly a 0% chance that windmills are the wave of the future. Your missing your half of the equation. Initial capital expenditure to build. Then operating cost to power per home per. It’s obvious wind is going to have a higher capital expense up front, but I would expect operating cost are relatively low, wind is free. On the other hand. A power plant, one needs to purchase Nat. Gas or other fuel to generate electricity, so operating cost will be higher. There should be some break even point. Probably best if you did a little more research and make the article thorough. If the useful life is too short they will never break even. Wind turbines say they will last 25 years but that is apparently highly optimistic. Nuclear, not the cheapest, is generally 50-60 years. The problem with offshore wind is that the salt water creates all sorts of expensive maintenance costs. 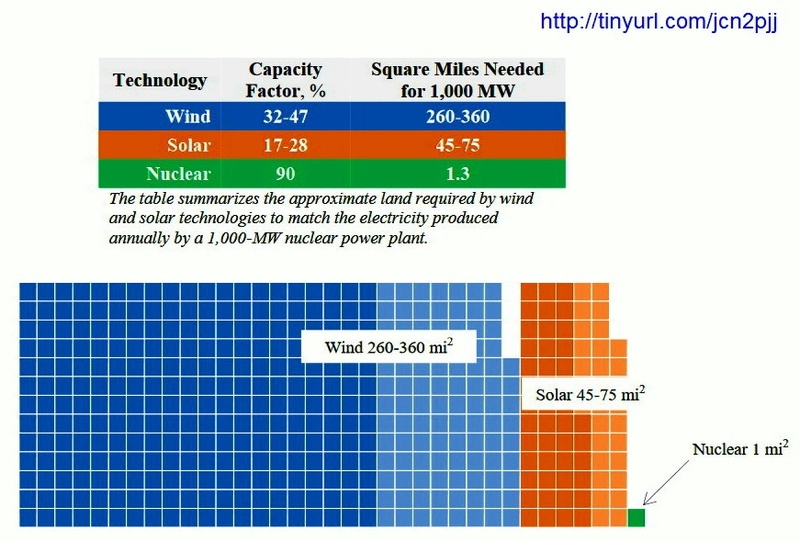 Another factor is that Nuclear is a base load energy provider. Wind needs some sort of backup or storage to have consistency to be anything other than peak load energy. It is generally not included in capital costs if trying to sell wind farms. So what about the cost to the environment. In places where these fans are on land birds of all kinds are being killed in droves. Are there no birds or other animals it impact? Then there is the corrosiveness of sea water which kills cars thanks to rust years before they normally would die. This is again another government run scheme to separate citizens from their money for nonsense. Because ………. bandaid’s are more expensive in the long run than actual real solutions that work. Birds only matter if they impact a profitable industry. Everybody is missing the point. The big money banks that back fossil fuel use are the same big money banks that back green energy. So they bet on both sides of the issue and get the fascist anti-fossil fuel politicians to force us to subsidize green energy boondoggles like the Ivanpah solar collection plant and expensive, unreliable and wildlife killing wind turbines so they make money no matter what is done. The fascists force feed us a lot of false propaganda about about how well the green energy technologies wotk so we won’t complain when in reality they only minimally reduce our dependence on fossil fuels. I call the Obama/Democratic Party energy policy maximum pain for minimum gain! But they get loan guarantees on solar and wind. Guarantees, subsidies and mandates, the welfare leach trifecta. Random, we’re on the same page. That’s why I included the comment about the politicians forcing us to subsidize green energy boondoggles. The hype continues though. Both Greenland and Antarctica are at record or near record snow/ice coverage, enough so that we should question whether we are entering a cooler than normal period that should be expected with the current low sunspot activity, yet the climate alarmists continue to scream. If the greens were truly concerned about the environment and rising global atmospheric carbon levels, they would back hydrogen fuel use, not wind turbines and solar collection plants. Hydrogen is not a fuel source but just a portable energy transmitter, sort of like a battery. NG is the best US option for portable energy source. Many just have little idea on energy. I agree that natural gas is best for the foreseeable future. In the long run we will need to look at non-fossil fuel energy sources. 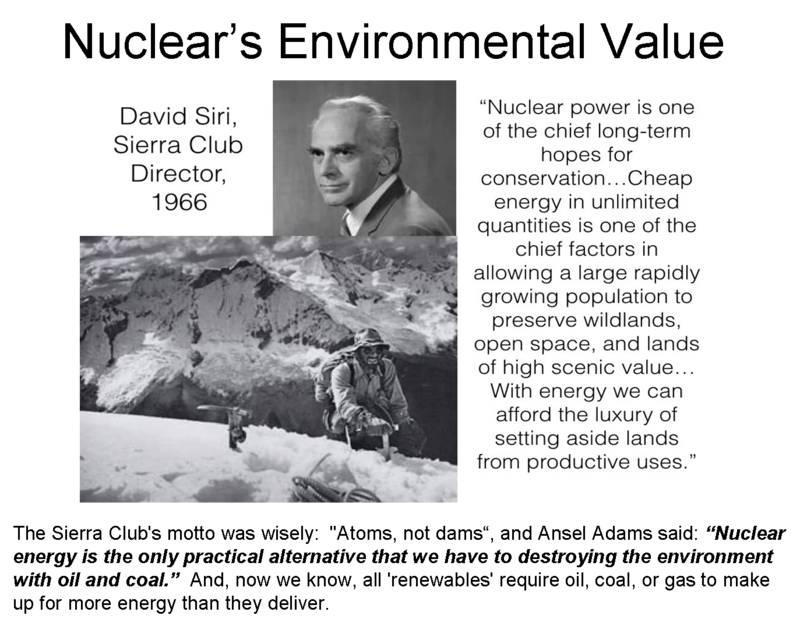 Although I believe we should research everything, all the current technologies we are subsidizing apart from nuclear, hydroelectric and geothermal have enough history to prove they do NOT work very well compared to fossil fuels AND they ALL have serious unintended negative environmental impacts. That leads me to the conclusion that in the long run we should develop something that does work well as a fuel, hydrogen and in the more distant future fusion. The future is electric for certain. Demand for transportation will necessarily require huge increase in generating capacity, whether to make hydrogen or charge batteries or move maglev vehicles. Solar and wind are too intermittent to be reliable energy sources requiring backup systems, batteries or energy storage. For the foreseeable future the last two are not economical options. I totally agree, but add that both wind turbines and solar collection plants as well as energy negative technologies like fuel ethanol from corn and any fuel from algae are too damaging to the environment to be considered green. I would expect operating cost are relatively low, wind is free. And just how free can it be to repair blades? Interesting work. Do the words “danger pay” have any meaning to you? 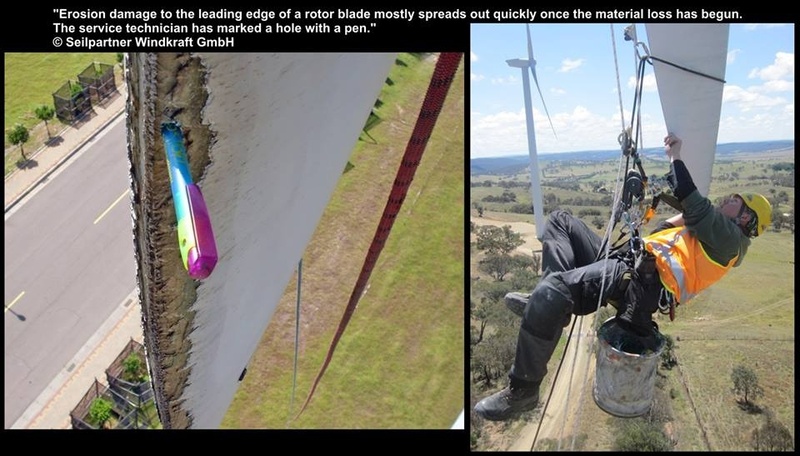 Here’s what a lightning strike does to a windmill blade. 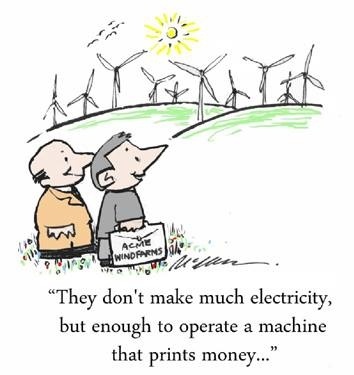 Wind energy in reality is a legal method of printing money for its backers. you need to read where it says salt water corrosion, ocean and weather conditions make it expensive to maintain. People can be led to think about what it means to consume ~2000 tons of resources just to get 1 average MW of power over a year — that’s wind. Because wind is so inefficient, as well as unpredictable. Ask others to think what it would mean if their sewer/water/police/fire/telecom…services were as unreliable and expensive as wind. No honest scientist or engineer would suggest we consume vast resources just to satisfy investors who get subsidies from all of us and deliver so little. Sadly, politics & ignorance have allowed ‘renewables’ boosters to mislead us all, and naively serve the combustion industry. The undercurrent from elite Malthusian diet planners has never really changed much. All but about 100 million people must die in order to institute utopia. That will really save the planet. This article is silly. Rating an asset by only considering its cost to build is like rating the benefit of buying a car by considering only the value of driving it home from the dealership. The real value is in what it does every day. Exactly, Germany is highly efficient an gets a 16% efficiency whilst most see only 12%. Not very good is it? This might be cool to see once the sharks start congregating around the windmills to gobble up all the dead seabirds. 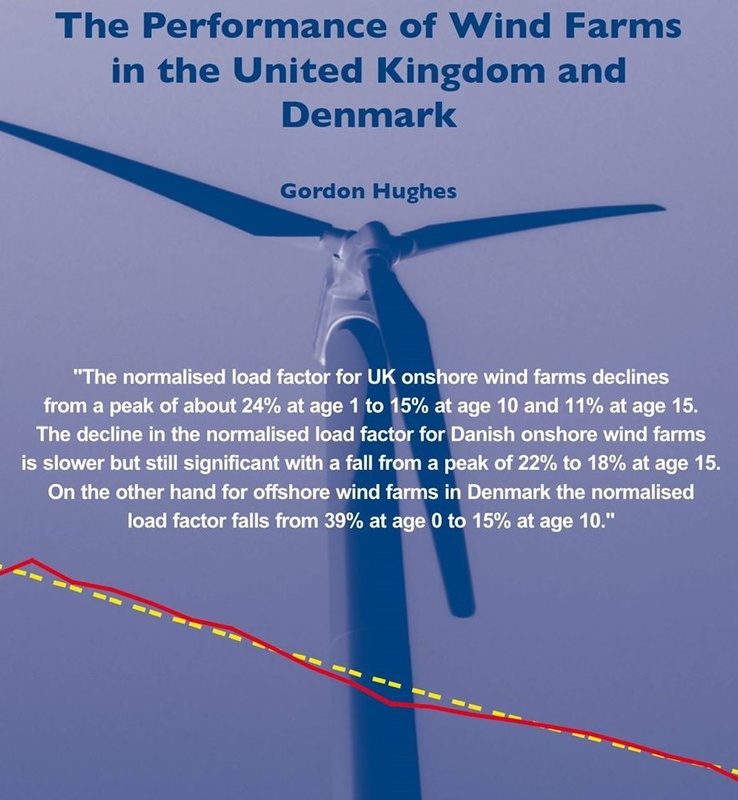 The economic case for wind power cannot be made today and into the foreseeable future. And that’s without considering the negative environmental and human health impacts. I would think wave generation would be far more reliable, productive and safe, maintenance might even be cheaper…The enviro whackos are not making their ususal noise about a large mechanical device that slaps bird life from the air, consumes large acrerage and space to produce a part time product…being out to sea may be the best place for these behemoths but I never hear how much the maintenance frequency cost as vs the production output…..